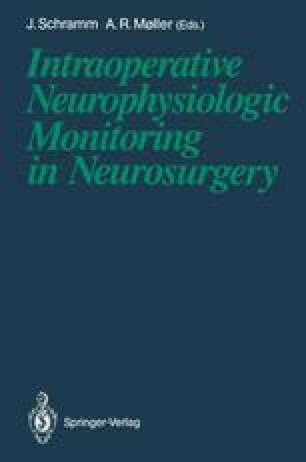 A software program for the Nicolet Pathfinder was developed that allows semi-automatic monitoring of brainstem auditory evoked potentials (BAEP) and, alternatingly, somatosensory evoked potentials (SSEP) during posterior fossa surgery. A second offline program is described which connects the Pathfinder to an IBM PC-type personal computer, allowing for rapid plot-out of closely spaced curves with comments and without overlap. Both programs greatly facilitate monitoring in the operating room.